I'm afraid this is a bit long but it takes me some warming up first: The relative position of one room or space with regards to others can often establish a kind of meaning for a project. For single-family houses, the growth and centralization of the kitchen as a part of the house has been steadily increasing for the last four decades is probably associated with the increasing number of families with two working parents or single-parent households. If a home office holds a large and central position in a house, the nature of that work, and the sense of privacy for that work, is framed by its relatively public and dominant location. Whenever we start a project, the first steps involve talking with the client and trying to understand not just their functional needs and wants, but most especially the nature of the use of these spaces and the potential relationships between spaces. Simple designations of public or private become greatly enriched by nuances of size and position, hierarchy and proportion. All of that said, allowing the form of a building to be largely determined by its function is a fairly recent, 100 years or so, (brief in architectural history) design strategy for architects. So while this forum does not lend itself to a more lengthy historical analysis of this problem, it can talk about some brief guideposts along the way. In re-reading Vitruvius' Ten Books on Architecture, there is a long and exhaustive discussion on function and use for buildings. However, that is often secondary to two other principles: first, the proper seasonal exposures of rooms and second, the importance of privacy with regard to an owner's social status. The functionalism that is espoused by Vitruvius is based not so much on the internal workings of the rooms, but the proximity of each room to each other and each room's need for light and warmth. As this is seasonal, there is a likely and "natural" assumption that the functions of a house may move into different rooms throughout the year. 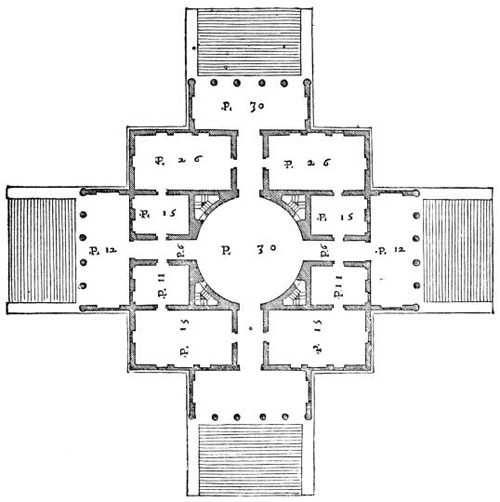 Having not then determined the form of the house because of the necessity for seasonal shifting, the house is free to assume a form more related to "beneficial light and air" and providential geometry. So, this is a rather long-winded way of getting at a huge contradiction in being a modernist trained architect - we are trained to optimize the function and use of the room to an extreme and absurd degree, from legislating where the owner's bed must be to determining exactly what the homeowner will look at when they awake. However, in my own life with various houses and apartments, I have regularly and often moved not only the furniture around rooms, but changed the use of the rooms as well. Bedrooms have become studios, living rooms have become dining rooms, in one case a dining room became a rather public bedroom. This might be a cheap and easy way of adapting a given, existing condition to my needs and wants, but I suspect it has more to do with a desire for change, both seasonally and for merely experimental whims. As a good friend of mine reminds me (as he has been engaged to help many times), I have always found a reason to move, averaging a new residence every 2 years of so, and sometimes moving as little as to the neighboring house. How to reconcile both a desire for specificity and a need for change? Well, I guess I will continue to look to Vitruvius and design spaces with great light, beautiful proportions and intriguing relationships to other rooms, but maybe not with so much specificity as to the micro-functionality of the rooms themselves. I don't think this lessening of functionality's dominant position means we throw the baby out with the bathwater and let a purely formalist approach to design substitute itself. Rather it is a recognition of change, and even fallibility, as an intrinsic part not only of the design process, but the lives of people. A perfectly functionally-designed kitchen will not help you make better food over a kitchen, slightly awkward, but with warming morning sun streaming in and a view to the garden. A London rowhouse, with fairly generic rooms of varying sizes, can change from the main floor of a grand house, to a professional office and back to small apartment, because the relationships of the rooms have a clear hierarchy of sizes and proportions. Rooms, like ourselves, are not defined by their use, but by their relationships. And the small, dark little room that seems so depressing in the winter, can be a shadowy, cool respite in the blazing heat of summer. Limiting it to a sole function, like "bedroom" or "dining room", doesn't fulfill its potential. Furniture is after all meant to be moved, and as Emerson says, "consistency is the hobgoblin of little minds."